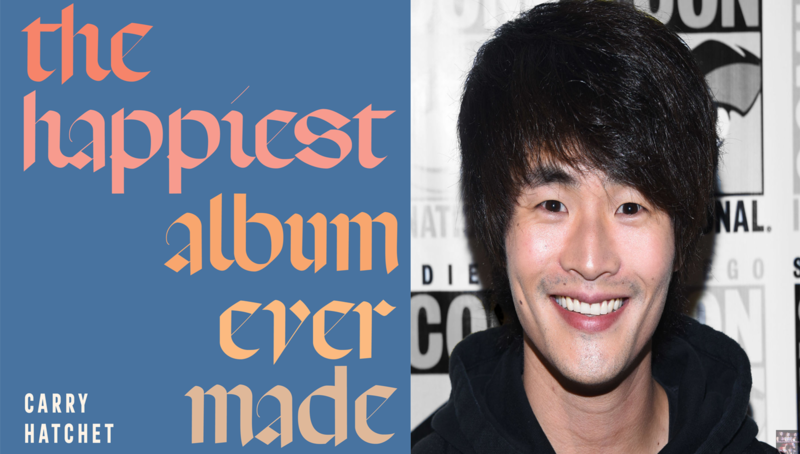 Christopher Larkin is known for his uncompromised role and characterization of Monty Green, the young engineer on The 100. A fan favorite since the beginning, Monty has gone through some dark and harsh times on the post-apocalyptic series, and will probably go through even more harsh times in the upcoming season five, premiering in early 2018. But, on the much more lighter note, Christopher Larkin just launched his second solo album, under the name Carry Hatchet. Titled The Happiest Album Ever Made (a stark contrast to The 100‘s dark and ominous themes), it’s filled with relaxing and soothing tracks that will put you in that mellow mood. Released on November 13th, it’s now available for purchase at your price choice and streaming. Christopher composed, written, and performed the music himself, allowing his artistry as a musician to flow through. A personal favorite song of mine from the album is Downstrum. It gives off that certain nostalgic vibe, and life experience. But, I highly enjoy the others as well as they take through a peaceful journey. For the song, Grey Blues, a music video was done and was featured on Youtube. The Happiest Album Ever Made was crafted and constructed as a sensational work of art, with the rarity of having all the tracks being excellent and holds its emotion. In 2015, Carry Hatchet’s first album, The News Today was released, and Chris’s band, d’Artagnan was featured as commercial music in the second season of The100. Whether or not you are a fan of The 100, I can safely say that I recommend this album, as it quickly found its place in my eclectic collection of music. But, you don’t have to take my word for it, you can check out the album yourself. The Happiest Album Ever Made is available now for purchase on Bandcamp. Follow Grounders Source on Facebook and Twitter to keep up-to-date on The 100.